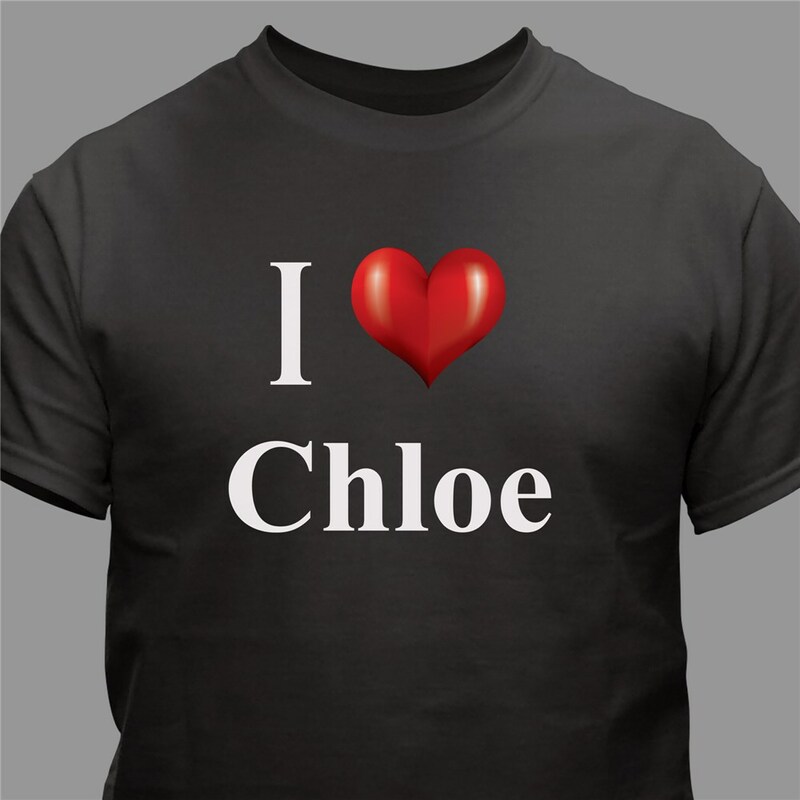 Our I love you t-shirt is an adorable gift idea for Valentine's Day. Show off your feelings for one another when you wear this shirt with sentiments that come from the heart.Our custom printed I Love You T-shirt is available on our premium pre-shrunk 100% cotton black shirt, machine washable in adult sizes S-3XL and makes a great gift for Valentine's Day or any day you want to say "I Love You." Personalize your shirt with any name. This year, give your sweetheart a gift that they'll remember and cherish fondly. My husband LOVED his shirt. Thanks!! Hilarious gift! And he even wore it too. Get your personalized I Love You shirt today. We also have I Love You Boxer Shorts. All of our Gifts are perfect for Sweetest Day. GiftsForYouNow.com is your home for great Personalized Sweetest Day Gift Ideas. Choose GiftsForYouNow.com for all of your Valentine's Day Gifts.